So what is up this week at BetVictors Casino? By now, you should know about some of the continuous promotions, but there is also new stuff to be seen! Yes, you probably know the promotion Game of The Week by now: Magic Portals takes players on a mystical journey to a place where wizards and warlocks make magic happen. Matching symbols in the Magic Portals on reels 1 and 5 will activate Wild Transformations, replacing all instances of that symbol Wild for huge returns! This mysterious feature can happen any time and combines with Free Spin bonuses and unrivalled graphics to make this one enchanting slot! It's 25 free spins for everyone at BetVictor Casino! 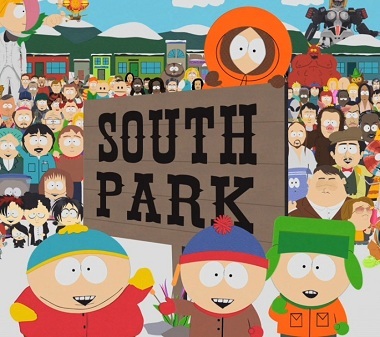 The South Park Video Slot is coming to BetVictor Casino! Available on the website AND mobile devices from Tuesday 24th September, head on down to South Park and join Stan, Kyle, Eric & Kenny on the reels for cartoon comedy that will keep you laughing all the way to the bank! Enjoy a spin of the wheel on the side with this mini version of Live Roulette. Accessible from the most popular sports pages as well as In-Play betting, fast paced action is guaranteed as you engage their stunning live dealers for a fun-filled time at the table. Place your bets now.